Your old cell phone can become a powerful tool for the Great Commission. Global Recordings Network has worked diligently to prepare 300 audio recordings for the people of Mexico. We have great friends there, too, including a local missionary named Faustino who is eager to share the Good News of Jesus Christ. But we need your help to distribute our recordings to people who need them most. Do you have an old cell phone you could donate to help us? The phones we receive are loaded with stories about Jesus and given to local missionaries, older adults, widows, migrant agricultural laborers, and others who cannot afford to buy an audio player. In many cases, this is the only way these brothers and sisters will learn about God’s Word. If your old cell phone meets the following criteria, will you consider donating it to us to share with our Global Recordings Network team in Mexico? More than 80 percent of unwanted cell phones—an estimated 150 million devices and counting—end up in the trash each year. 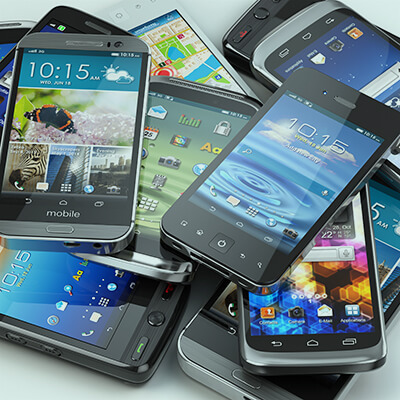 Rather than getting dumped into a landfill, your old cell phone can become a powerful tool for the Great Commission. With your help, Global Recordings Network can tell the story of Jesus to the people of Mexico. Yes, I am interested in donating my old cell phone. Please contact me to arrange this or to help me confirm if my phone meets your criteria. Hear a Bible story in Amuzgo De Ipalapa, a language spoken in Oaxaca, Mexico.